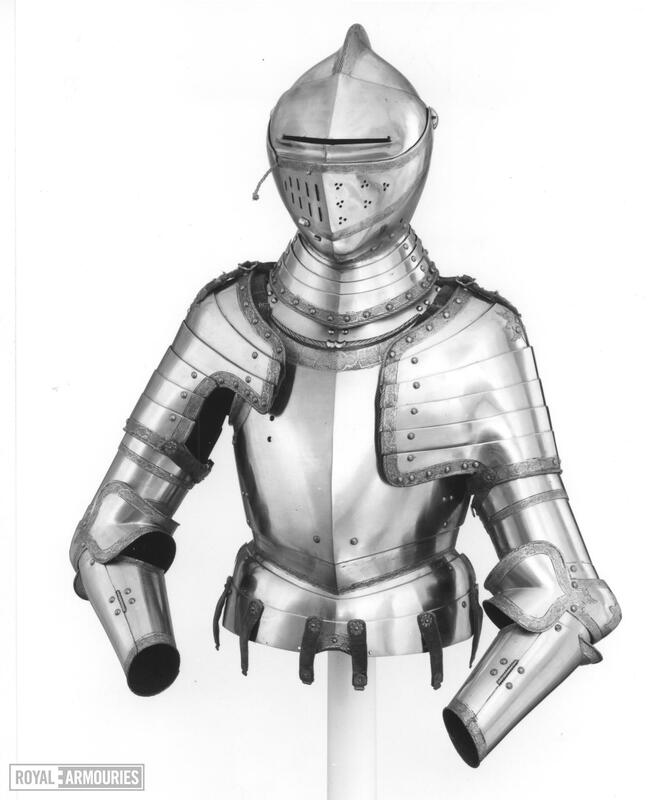 Consisting of Helmet, breastplate and armpieces. 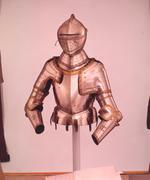 Decorated with etched and gilt strapwork on a ground of small arabesque scrolls. A.R. 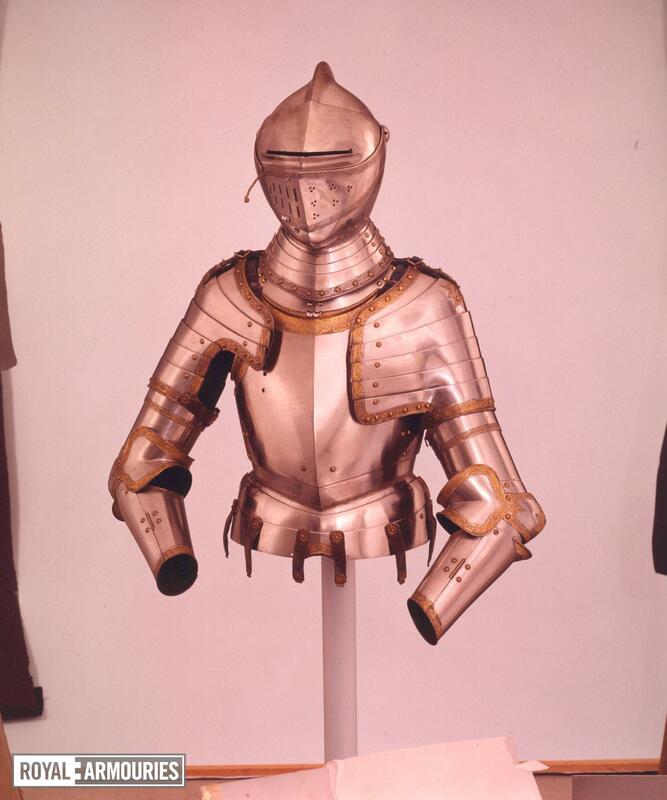 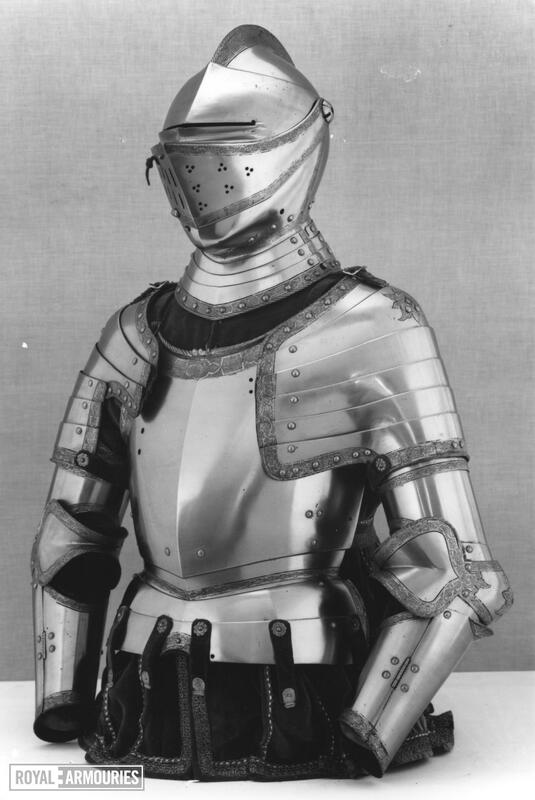 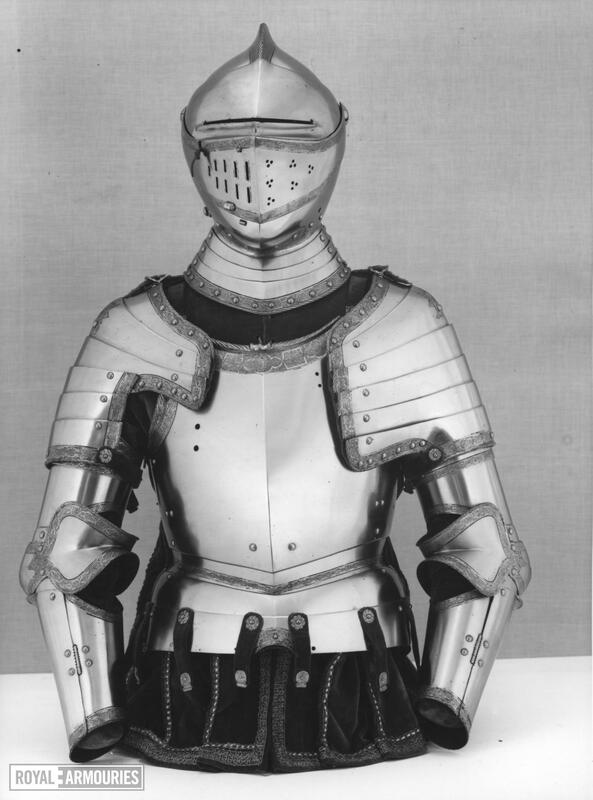 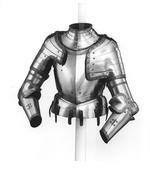 Dufty and W. Reid, European Armour in the Tower of London, 1968, plate XXIX, CXXXII.